BWS offers commercial wildlife removal and pest control services to businesses in the central Ohio region. Our technicians are highly trained and are capable of handling any pest problem. There is simply no commercial job too big for our organization to handle. We will remove pest wildlife quickly and recommend a tailored control strategy to avoid any future problems. Furthermore, the plans we offer are affordable, allowing you to focus on what really matters – your business. Call today and invest in one of Columbus’s premier long-term wildlife plans! We at Buckeye Wildlife Solutions strive to meet and exceed the expectations of every customer. Pest control projects require incredible attention to detail – a trait which we take immense pride in. 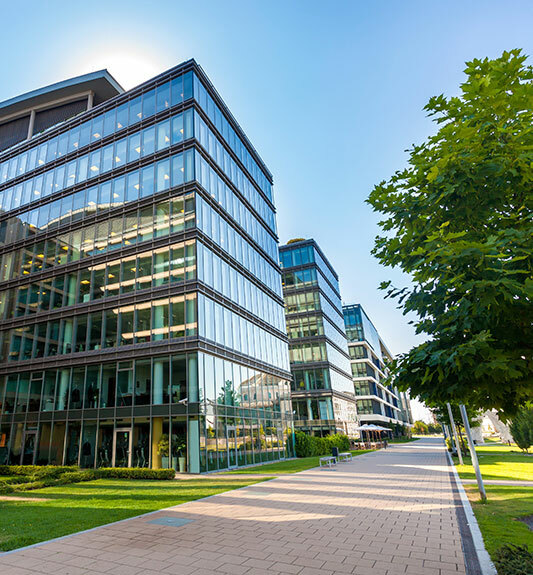 Upon request, our certified professionals will conduct a rigorous examination of the interior and exterior of your building for signs of pest activity. Afterwards, we will provide your business with an affordable quote – no prior commitment implied! No other company can match our drive, professionalism, and dedication to the job at hand. If your Ohio business is in need of wildlife control services, Buckeye Wildlife Solutions is the obvious choice. We are fully licensed and insured to perform our work safely and effectively. We handle raccoons, bats, squirrels, birds, insects, groundhogs, skunks, flying squirrels, mice, rats, and more! We also offer repair services, attic cleanup, and long-term wildlife protection plans to equip your business with state-of-the-art pest defense for the future. Call today and allow us to restore the peace of mind necessary for you and your business to thrive!